The 10 Most Exotic Birds Observed in the DFW Metroplex? An article like this one pretty much has to begin with a few definitions. I apologize, but that’s just the way it is. For the purpose of this posting we will be considering all native and non-native birds that living free and in the wild. They must have arrived in North Texas of their own volition. Exotic in this case will refer to a bird that is rarely observed, or one that has arrived in the DFW under unusual circumstances. In addition—or alternatively—an exotic bird will be unique in form, appearance, coloration, or behavior. That was fun, right? And pretty painless. So, while we are at it lets define another… observed. In the context of this write up we will consider observed to mean that an encounter with one of these birds was recorded in such as way that it can be considered reliably documented. Pictures from well respected observers and/or news reports are examples of documentations that could suffice. Oh yeah, and no matter how rare and unusual an observation may be, it must be demonstrated as being repeatable to count here—no use sending folks on a wild goose chase, if you know what I mean. Finally, there is the word wild… We will define wild to mean free-ranging and self-sufficient. Receiving minimal assistance from humans, especially while the animal is here in the DFW metroplex. According to the Texas Parks and Wildlife Department, there are only 1,500 to 2,000 nesting pairs of reddish egrets in the United States — and most of these are in Texas. They are classified as “threatened” in Texas and receive special protection. 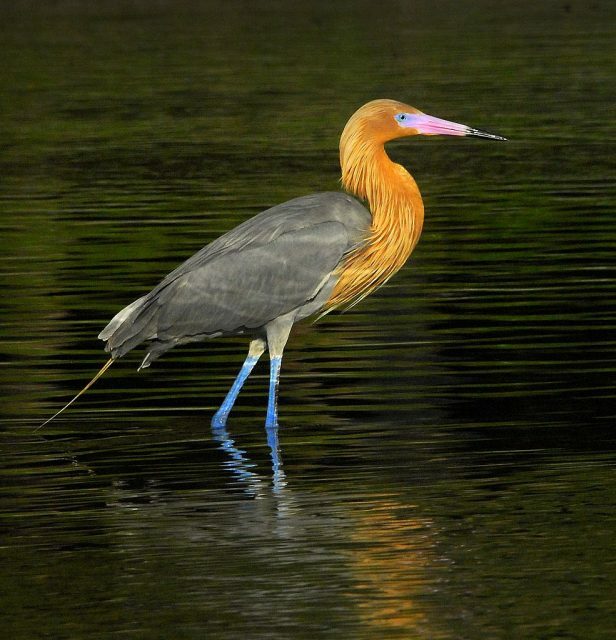 The reddish egret is considered one of the most active herons, and is often seen on the move. It stalks its prey visually in shallow water far more actively than other herons and egrets, frequently running energetically and using the shadow of its wings to reduce glare on the water once it is in position to spear a fish; the result is a fascinating dance. Due to its bold, rapacious yet graceful feeding behavior, author Pete Dunne nicknamed the reddish egret “the Tyrannosaurus Rex of the Flats”. It eats fish, frogs, crustaceans, and insects. The bird’s usual cry is a low, guttural croak. This elegant little bird of prey may just be the rarest bird found in the metroplex—although for some (exciting) reason sightings seem to be on the increase over the last couple of years. Typically in late summer reports will come in of a single individual observed in far southeast Dallas County. 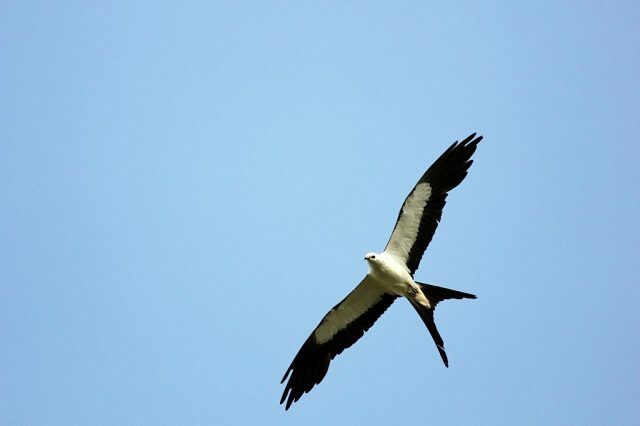 The lone Swallow-tailed Kite will usually be found flying with kettles of Mississippi Kites as they are marshaling for their fall migration. This past spring Swallow-tailed Kite sightings also started coming in from around the Trinity River in Arlington, Texas. This is a new and exciting development—happening at both a different time of the year AND in a different location than most historical sightings occurring in the Metroplex. The species is 50 to 68 cm (20 to 27 in) in length, with a wingspan of approximately 1.12–1.36 m (3.7–4.5 ft). Male and female individuals appear similar. The body weight is 310–600 g (11–21 oz).] The body is a contrasting deep black and white. The flight feathers, tail, feet, bill are all black. Another characteristic is the elongated, forked tail at 27.5–37 centimetres (10.8–14.6 in), hence the name swallow-tailed. The wings are also relatively elongated, as the wing chord measures 39–45 cm (15–18 in). The tarsus is fairly short for the size of the bird at 3.3 cm (1.3 in). The Mandarin Duck is native to Asia. They are not supposed to be here in the North America. But due to their strikingly exotic appearance some have been brought to the United States to help “beautify the barnyard.” Every once in a while one of these exotic ducks will make an escape. When they do, they frequently seek out the company of geese, or the closely related and native Wood Duck. For the past couple of years there have been sightings of a lone male Mandarin Duck in the metroplex during the late winter and early spring. 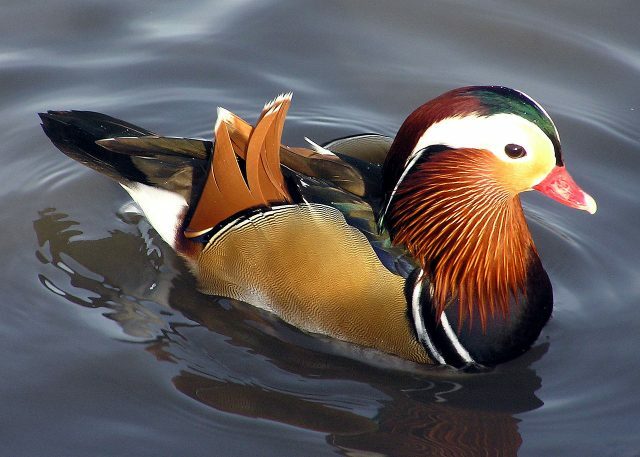 So notable is his arrival each year that area birders have given him the nickname “Manny the Mandarin Duck.” He has been seen in both the City of Irving, and the City of Dallas. Each time Manny has appeared in the Metroplex he has created quite a stir and generated a lot of excitement. By late spring he is gone. Will he will be back next year? The mandarin duck (Aix galericulata) is a perching duck species found in East Asia and is native to Japan. It is medium-sized, at 41–49 cm (16–19 in) long with a 65–75 cm (26–30 in) wingspan. It is closely related to the North American wood duck, the only other member of the genus Aix. Aix is an Ancient Greek word used by Aristotle to refer to an unknown diving bird, and galericulata is the Latin for a wig, derived from galerum, a cap or bonnet. The adult male is a striking and unmistakable bird. It has a red bill, large white crescent above the eye and reddish face and “whiskers”. The breast is purple with two vertical white bars, and the flanks ruddy, with two orange “sails” at the back. The female is similar to female wood duck, with a white eye-ring and stripe running back from the eye, but is paler below, has a small white flank stripe, and a pale tip to its bill. Wood Storks come to the Dallas/Fort Worth metroplex just in time for the hottest months of the summer. These large birds can be found singly or in small groups in various places around North Texas, but you have to venture into the darkest reaches of the Great Trinity Forest to find really sizeable congregations. Wood Storks like to gather in the tallest trees along the river to roost, and they get together to feed in a few especially suitable small lakes situated in the river’s floodplain. By late September most storks will have left the metroplex for their winter haunts. The wood stork (Mycteria americana) is a large American wading bird in the stork family Ciconiidae. It was formerly called the “wood ibis”, though it is not an ibis. As of June 26, 2014 it is classified as a threatened species by the U.S. Fish & Wildlife Service. This is a subtropical and tropical species which breeds in much of South America, Central America and the Caribbean. The wood stork is the only stork that presently breeds in North America. In the United States there is a small breeding population in Florida, Georgia, and South Carolina, along with a recently discovered rookery in southeastern North Carolina. 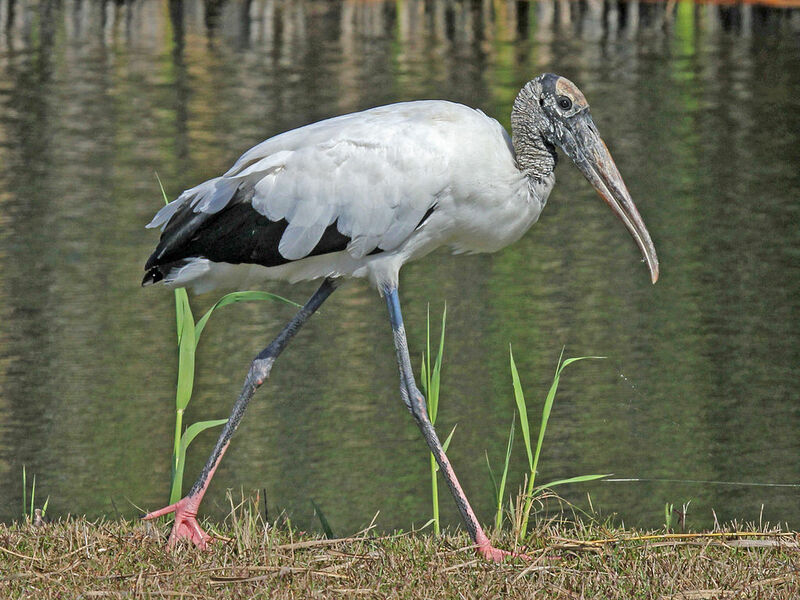 After a successful three-decade conservation effort resulting in an increased population in the southeastern United States, the wood stork was removed from the endangered species list and upgraded to threatened on June 26, 2014. Similarly, in the state of Santa Catarina, Brazil, its decline seems to have been reversed: after an absence between the late 1960s and the mid-1990s, the species is now again regularly encountered there, in particular in the Tubarão River region. It is likely that the Paraná River region’s wetlands served as a stronghold of the species, from where it is now re-colonizing some of its former haunts. Globally, it is considered a species of Least Concern by the IUCN due to its large range. In the United States, the wood stork favors cypress trees in marshes, swamps, or (less often) among mangroves and nearby habitat. A resident breeder in lowland wetlands with trees, the wood stork builds a large stick nest in a forest tree. 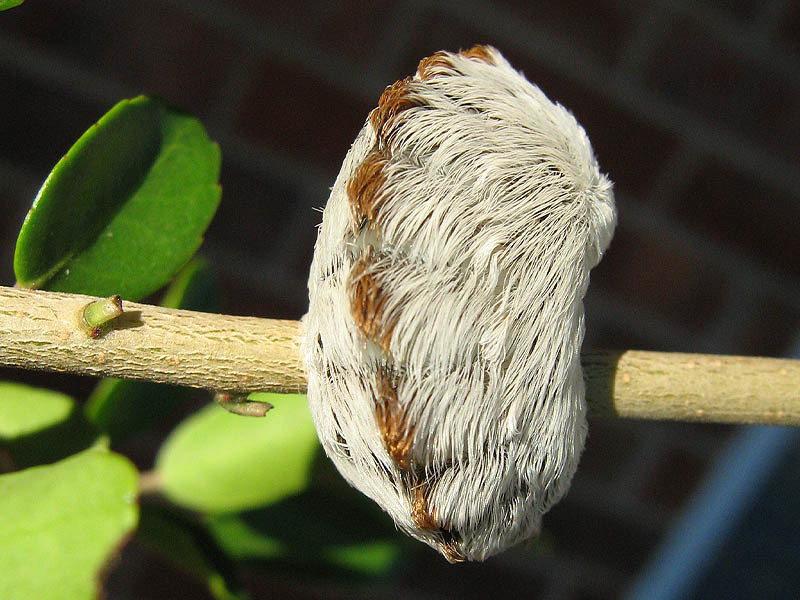 They nest colonially with up to twenty-five nests in one tree. Breeding once a year, a female typically lays three to five eggs in the clutch. The eggs are incubated 27–32 days by both sexes. Wood storks’ reproductive cycle is triggered when waterholes dry up sufficiently to concentrate fish in sufficient numbers for efficient feeding of the chicks. Each chick weighs approximately 2 oz (57 g), is unable to fly and is helpless. Competition for food is fierce, and if food is scarce, only the older chicks will survive. Week-old chicks are fed about 15 times per day, and grow rapidly. By 14 days, each will weigh 10 times its hatching weight. At 28 days, each is 25 times heavier. During the breeding season, wood storks need over 400 lb (180 kg) of fish to feed themselves and their offspring. When the weather is very warm, parents also collect water and bring it to the nest to drool on and into the mouths of the chicks. By the time the young are four weeks old, both parents leave the nest to search for food, and this continues until the chicks fledge or leave the nest. Young may continue to return to the colony for another 10 to 15 days to roost or to try to get food from their parents. A colony is considered successful if its parents average at least 1.5 fledged young per nest. 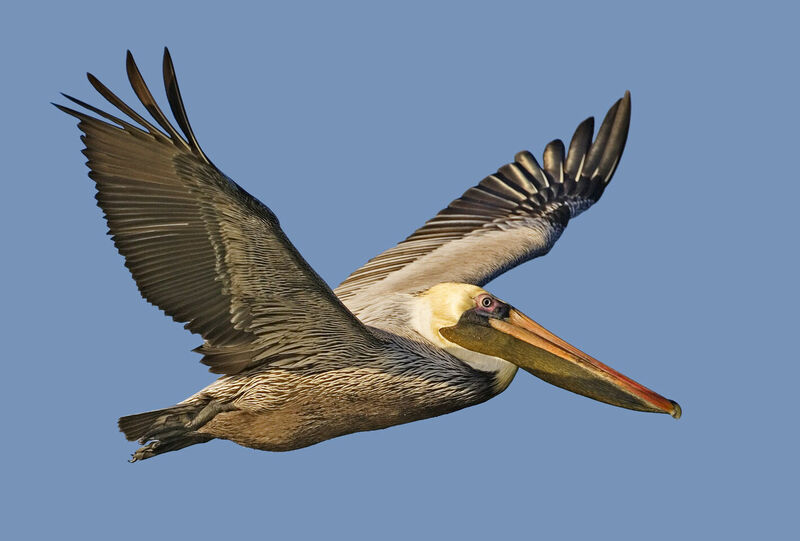 The Brown Pelican is another coastal bird that occasionally finds its way the Dallas/Fort Worth metroplex. These birds can arrive in the North Texas at any time during the year, but sightings are more common in our cooler months. Brown Pelicans are usually seen in the Metroplex alone or in pairs. A few key area reservoirs are the best places to look for these big sea birds. So, has the Golden Eagle ever really be observed in the Dallas/Fort Worth metroplex? That is a question that is still up for debate. The website eBird shows a small number of reported sightings in and around DFW. But, because we are at the very eastern limits of the Golden Eagle’s range, reports that do not include a photograph have to be viewed with a certain level of skepticism. So too of similar reports from east of the metroplex. Sightings recorded west of Fort Worth are another story altogether. These are much more likely to be accurate—especially the further west you go. Finally, there is a reliable report—complete with a diagnostic photograph— taken on Lake Texhoma just a few years ago. This big lake is located on the Texas-Oklahoma border, and is just a short distance from the Metroplex. Whatever the case, I think the Golden Eagle is a raptor worth keeping an eye out for when birding in the metroplex—just in case! Once widespread across the Holarctic, it has disappeared from many areas which are now more heavily populated by humans. Despite being extirpated from or uncommon in some of its former range, the species is still fairly ubiquitous, being present in sizeable stretches of Eurasia, North America, and parts of North Africa. It is the largest and least populous of the five species of true accipitrid to occur as a breeding species in both the Palearctic and the Nearctic. For centuries, this species has been one of the most highly regarded birds used in falconry, with the Eurasian subspecies having been used to hunt and kill prey such as gray wolves (Canis lupus) in some native communities. 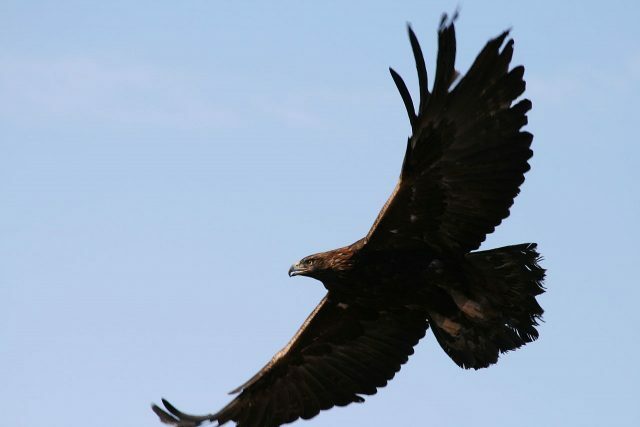 Due to its hunting prowess, the golden eagle is regarded with great mystic reverence in some ancient, tribal cultures. The golden eagle is one of the most extensively studied species of raptor in the world in some parts of its range, such as the Western United States and the Western Palearctic. Roseate Spoonbills can often be found in the same places and under the same circumstances as Wood Storks in North Texas. The stunning and exotic Roseate Spoonbill is considered a vagrant and is at the northern limits of its range in the Dallas/Fort Worth area. The summer months are when our spoonbills are in town—often sporting the bright pinks and crimsons of their breeding plumage. Remote areas along the Trinity River with shallow lakes rich in invertebrate life are the places to find these birds in sizable numbers. The roseate spoonbill is 71–86 cm (28–34 in) long, with a 120–133 cm (47–52 in) wingspan and a body mass of 1.2–1.8 kg (2.6–4.0 lb). The tarsus measures 9.7–12.4 cm (3.8–4.9 in), the culmen measures 14.5–18 cm (5.7–7.1 in) and the wing measures 32.3–37.5 cm (12.7–14.8 in) and thus the legs, bill, neck and spatulate bill all appear elongated. Adults have a bare greenish head (“golden buff” when breeding) and a white neck, back and breast (with a tuft of pink feathers in the center when breeding), and are otherwise a deep pink. The bill is grey. There is no significant sexual dimorphism. This species feeds in shallow fresh or coastal waters by swinging its bill from side to side as it steadily walks through the water, often in groups. The spoon-shaped bill allows it to sift easily through mud. It feeds on crustaceans, aquatic insects, frogs, newts and very small fish ignored by larger waders. 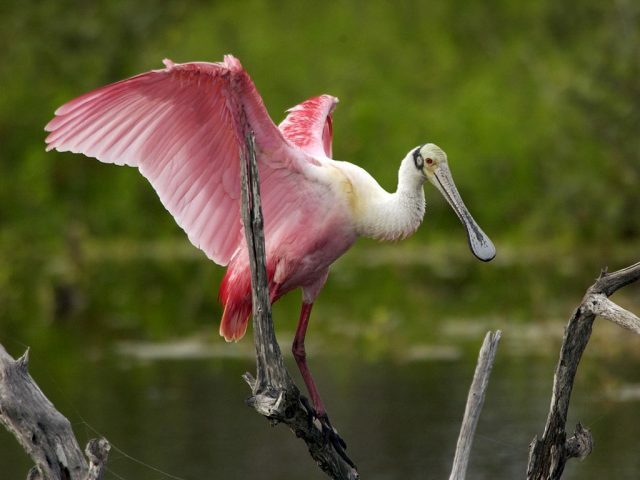 In the United States, a popular place to observe roseate spoonbills is “Ding” Darling National Wildlife Refuge in Florida. Roseate spoonbills must compete for food with snowy egrets, great egrets, tricolored herons and American white pelicans. The unmistakable Whooping Crane is the tallest bird in North America—and also one of the rarest. These large birds winter on the Texas Gulf Coast, and summer in the far reaches of northern Canada to breed. This jet set lifestyle necessitates a long migration each spring and fall. These seasonal journeys offer people in North Texas the best opportunity for viewing Whooping Cranes. On occasion they can be seen flying high over the metroplex on their trip to or from the Gulf Coast. But it is not easy to notice white birds flying at altitude—it takes a sharp eye. Even more rarely, a group of Whooping Cranes might touch down momentarily in a North Texas wetland to rest, eat, and drink. You literally have to be in the right place at the right time to observe cranes in this situation. Because Whooping Cranes are considered endangered—with less than 450 individuals remaining in the wild—there is much concern about their tenuous numbers. Reintroduction efforts are ongoing in Louisiana which are designed to create a separate population of cranes to help guard against disaster. Young birds from this group remain driven to migrate seasonally, though they are not quite sure where to go or how to accomplish the mission. Still, some of them try, and over the last couple of years a small number of these cranes have found their way to the metroplex, where they have been apt to stay for the summer. This phenomenon provides one more way an intrepid observed might get to view a rare Whooping Crane here in the DFW Metroplex. The whooping crane (Grus americana), the tallest North American bird, is an endangered crane species named for its whooping sound. In 2003, there were about 153 pairs of whooping cranes. Along with the sandhill crane, it is one of only two crane species found in North America. 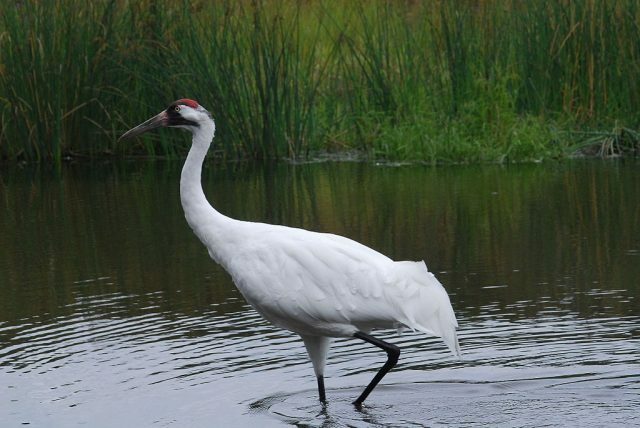 The whooping crane’s lifespan is estimated to be 22 to 24 years in the wild. After being pushed to the brink of extinction by unregulated hunting and loss of habitat to just 21 wild and two captive whooping cranes by 1941, conservation efforts have led to a limited recovery. As of 2011, there are an estimated 437 birds in the wild and more than 165 in captivity. The species can stand up to 1.5 meters (4.9 feet) and have a wingspan of 2.3 meters (7.5 feet). Males weigh on average 7.3 kg (16 lb), while females weigh 6.2 kg (14 lb) on average (Erickson, 1976). The body length averages about 132 cm (52 in). The standard linear measurements of the whooping cranes are a wing chord length of 53–63 cm (21–25 in), an exposed culmen length of 11.7–16 cm (4.6–6.3 in) and a tarsus of 26–31 cm (10–12 in). The only other very large, long-legged white birds in North America are: the great egret, which is over a foot shorter and one-seventh the weight of this crane; the great white heron, which is a morph of the great blue heron in Florida; and the wood stork. All three other birds are at least 30% smaller than the whooping crane. Herons and storks are also quite different in structure from the crane. The Snowy Owl is a bird of the arctic and the far north. Every now and again, for reasons that are not well understood, some of these birds will come further south than what is ordinary during our winter months. On rare occasions, this phenomenon will bring Snowy Owls into North Texas. In February of 2012 we actually had one of these stunning birds in the Dallas/Fort Worth Metroplex. First spotted at Lake Ray Hubbard, the lone Snowy Owl was observed for several consecutive days before it finally moved on. The owl was then seen again briefly and photographed near downtown Dallas. After a short stay in the Metroplex of just around 25 days, the Snowy Owl disappeared without a trace. The snowy owl (Bubo scandiacus) is a large, white owl of the typical owl family. 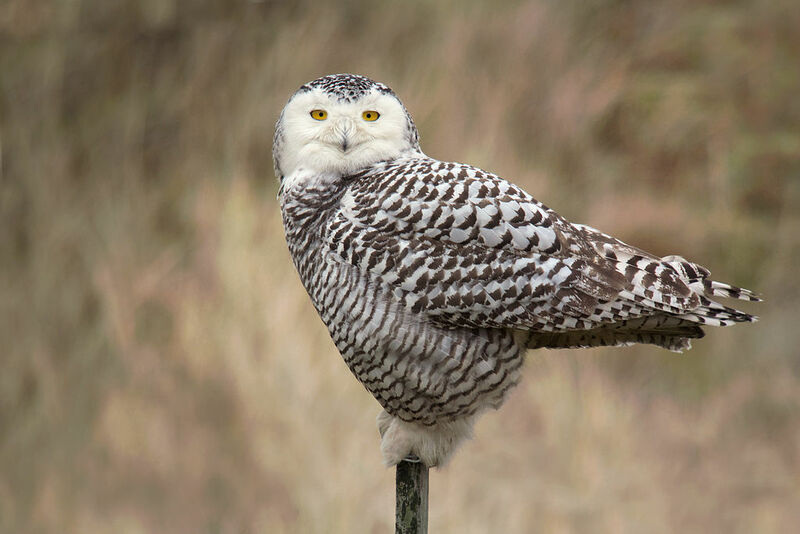 Snowy owls are native to Arctic regions in North America and Eurasia. Younger snowy owls start with a darker plumage, which turns lighter as they get older. Males are almost all white, while females have more flecks of gray plumage. The snowy owl is typically found in the northern circumpolar region, where it makes its summer home north of latitude 60° north. However, it is a particularly nomadic bird, and because population fluctuations in its prey species can force it to relocate, it has been known to breed at more southerly latitudes. During the last glacial, there was a Central Europe Bubo scandiacus gallicus, but no modern subspecies are recognized. The beautifully colored Purple Gallinule is a rare bird indeed! These stunning birds can occasionally be found in the Dallas/Fort Worth metroplex during the warmest months of spring and summer. 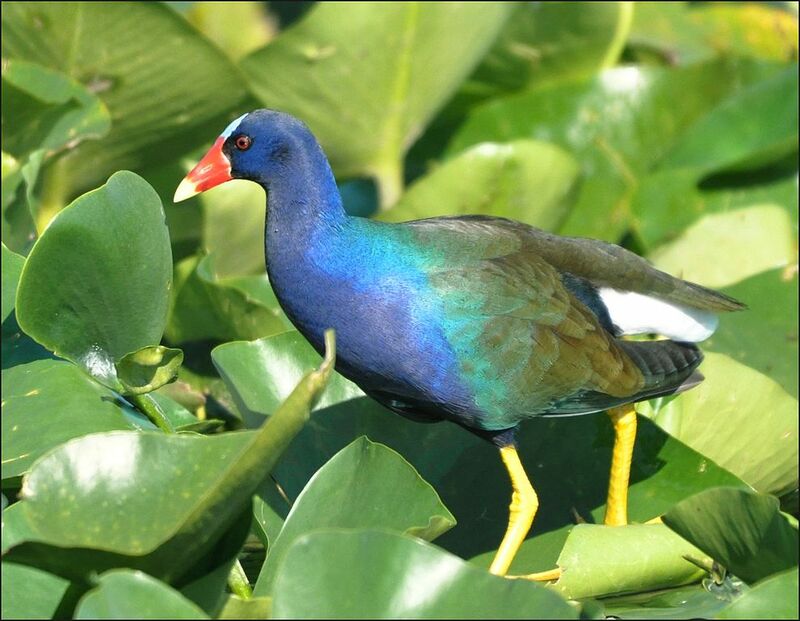 They prefer wetland environments with abundant floating vegetation—those oversized feet help distribute weight and allow the Purple Gallinule to walk across buoyant vegetation, like lily pads, without sinking. There have only been a few documented sightings of Purple Gallinules in DFW over the years, each occurring in a very localized area. 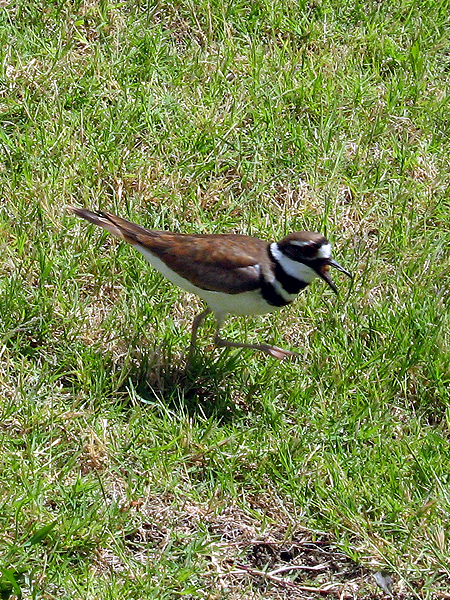 The list of places to look for these birds here in North Texas is very long, but this list of places where they have actually been found is very short. Only a few lucky ones will ever get to see this bird in the Dallas/Fort Worth area! The purple gallinule (Porphyrio martinicus) is a “swamp hen” in the rail family, Rallidae. Also known locally as the yellow-legged gallinule. The genus name Porphyrio is the Latin for “swamphen”, and martinica is “of Martinique”. This species is a very rare vagrant to western Europe and southwestern Africa. There is a similarly named species in Europe, Asia and Africa, the purple swamphen, Porphyrio porphyrio, but that bird is much larger. Ok, so that is our list of the 10 most exotic birds observed in the Dallas/Fort Worth metroplex… Do you agree? Do you disagree? Let us know in the comment section below. And of course, if you come across any of these rare and/or unique birds, we would love to hear about your encounter and have it documented on our Facebook Group or in our iNaturalist project. Finally, there is a mile long list of also rans… I include it here as fuel for the debate. What are your thoughts? Monk parakeet, American goldfinch, and Belted kingfisher are not rare in my experience.If you feed niger seed in winter, you will have swarms of goldfinch and pine siskins. There are many colonies of monk parakeets in the metroplex at electric substations. And I can predictably find kingfishers in Las Colinas at the golf course and local small ponds. Not rare… but maybe exotic? Chris, this is an interesting article, and should help some folks with focusing on some particular birds they hope to find. Given your definition of exotic, I am not sure what bird would not qualify, especially if such common birds as American goldfinch, painted bunting, and such rare natives as swallow tailed kite are considered exotic. It seems that you are using the term to encompass those birds that you find exciting to see. I believe that AOU and other bird organizations, as well as most biologists, would define exotics as being species that are outside of their natural range, whether currently naturalized to an area or occurring only casually or accidentally. Sibley, in the currently most widely used printed field guide for North American birds, includes as exotics only species that are non-native and not naturalized. So, Antarctic skua is by his consideration exotic. Monk parakeet, being naturalized, is not. Whooping crane is also not, as it is native (though it occurs in the area only during migration, and is exceedingly rare). Just some thoughts, and my comments do not mean that I did not enjoy the article or find it interesting. I did not know that swallow tailed kits had been showing up in the Trinity River bottoms in Arlington. That represents a significant move northward for this species. I will be visiting family in Dallas during the period 30 July – 8 August, and if I can manage it I may try to get out to that area and see if I can find one or more of these magnificent birds. Given your definition of the term exotic, I wonder why you did not include crested caracara. Yes, David, I did make up my own definition of “exotic.” Birds that are exciting to see sums it up pretty well, I think. Crested Caracaras are becoming more and more common here in the metroplex. Many folks I know no longer consider seeing one remarkable. I did include the caracara in the “Also Ran” list though, because I still believe seeing one is pretty special. he/she doesn’t leave. Wonder where they go during winter??? They are still around in the winter, but the bugs and snakes are not! 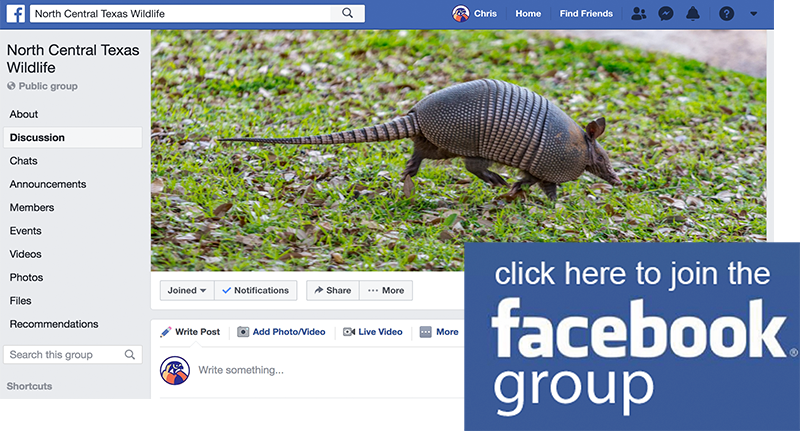 Share pictures, if you’d like, on our facebook group… I know everyone would like to see them! I’m pretty sure we saw a Golden Eagle today! We live on a small lake in Arlington & my neighbor sent a video to me of a dark blob in her tree, it was too far away to tell what it was. She thought it was a Bald Eagle. Later she called & said it had flown into my yard. I went out & it was flying overhead. It looked like your picture! I’m sure it wasn’t a vulture as we have those around & know those right away. Wish it would come pose for a really good pic!! I take it all back! My neighbor DID see a Bald Eagle in her yard & she just sent me very good pictures of it. Is it possible that I saw the female? Adult male and female Bald Eagles look alike. Juvenile Bald Eagles are nearly dark all over and can resemble Golden Eagles. Thoroughly enjoyed this article. We have acreage within the city of Lewisville and have a picture of an anhinga visiting our pond.